Your M-8 model may come equipped with Harley adjustable rear shocks. You will notice that the two shocks look different from one another. 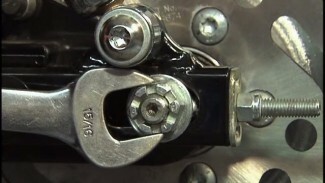 The left side shock has a large knob that can be turned to add or lessen your shock preload. The factory service manual is specific about how to set the Harley adjustable rear shocks depending on weight but these instructions are best used as reference. They give you a good idea as to where you may want to start, but your final adjustment is determined by rider, or rider & passenger preference. 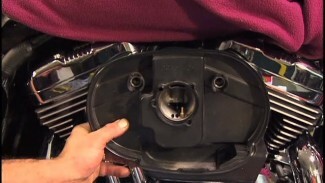 Some riders are not as sensitive as others as far as ride quality or handling and may leave the Harley adjustable rear shocks set to one general position for the majority of their riding. Other riders will scrutinize over these settings and have the ability to adjust these shocks before every ride if desired. Whether you are a casual Sunday rider or an aggressive rider, you will benefit by experimenting with your shock preload settings.